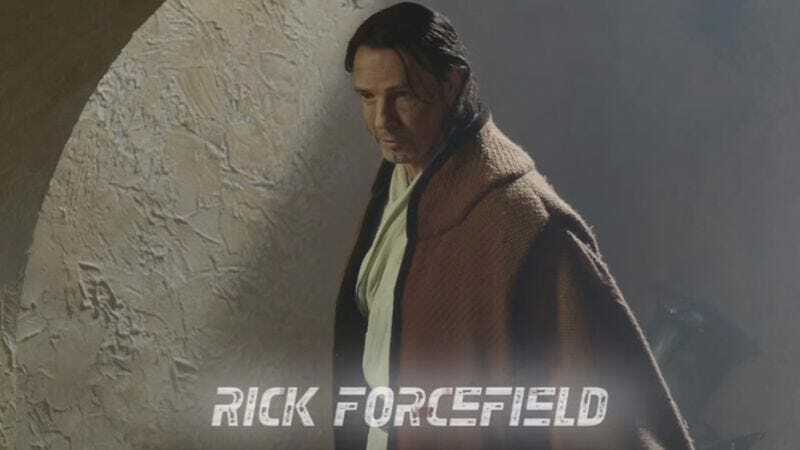 Rick Springfield, singer, songwriter, and actor is apparently also a big ol’ geek. In addition to vintage rockets and robots, the former Dr. Noah Drake also has quite a collection of vintage Star Wars toys, according to Rolling Stone. Any speculation that Springfield may be a poser goes right out the window once he utters the words “double telescoping” in regard to lightsabers. As any collector can tell, Springfield is serious about these choking hazards. It shouldn’t come as a surprise that the True Detective star has a geeky streak in him; his second studio album was titled Comic Book Heroes and featured artwork right out of the funny pages. He also appeared in the first Battlestar Galactica pilot. Springfield’s collection contains quite a few “holy grails” for the Star Wars collector, including the aforementioned rare double-telescoping lightsabers as well as a vinyl cape Jawa and an extremely rare, carded, Empire Strikes Back Boba Fett. Springfield says in the video that the figures are all first-generation, or as collectors refer to them, the 12-backs, referring to the original 12 action figures released by Kenner. No mention of the rarest Star Wars figure of them all, Vlix Oncard, but considering Springfield buys his toys from Sotheby’s these days and not Toys”R”Us, he could probably afford it. Springfield’s favorite toy in his collection? A Turkish bootleg from the Uzay line: “The Turkish bootlegs are the only ones that became worth anything.” The Uzay line from the ’80s has become a favorite amongst fans and collectors in part for their cheapness, the dorky art, and overall weirdness. Of course, everyone knows that aliens are only interested in those toys graded gold by the Action Figure Authority.